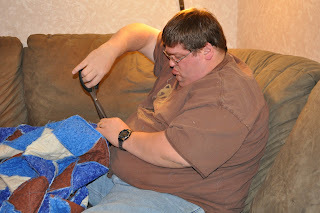 Ok now that its all sewed together you need to start cutting it up. I learned by my own mistake when handing my son a pair of scissors to start helping cut. You need to make sure that your relay careful when cutting to not cut the seams or it will all come lose. After an hour of watching a movie and cutting my son went to get snacks when i picked up the quilt and realised my quilt now had 20 or so holes all over where he cut generously through the stitching. After acting badly, jumping up and down screaming and my wife calming me down. I went to work repairing the quilt. Dont make this mistake yourself its a bumer. The 2nd and 3rd rag quit needless to say did not have this issue. Live and learn they all say. Ok a movie or 2 later and the quilt will be cut up (with out holes we hope) oh as a after thought make sure you repair any oopsies. Now to wash your quilt this will bring out the frays you want. I have found that it takes 2-3 washes to get what I feel is a ok fray. The image to the left is after the first wash but before they dry. Back to the cutting I forgot something here I said to cut, not too much but not how to cut. you should cut 1/4 inch apart about 1/4 inch deep or so. Me I tend to cut too much and my wife cuts too little. Ok back to washing. 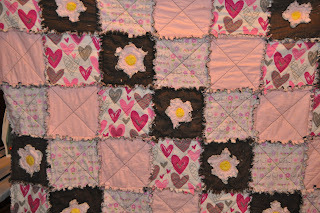 When you wash and dry your quilt many many peices of threads are going to go every where. Some say to take to a laundry mat and wash me I have a nice frout loading heavy duty machine so I do mine at home. The first wash depending on the size of the quilt you may want to stop half way through and clean out the lint when its drying. 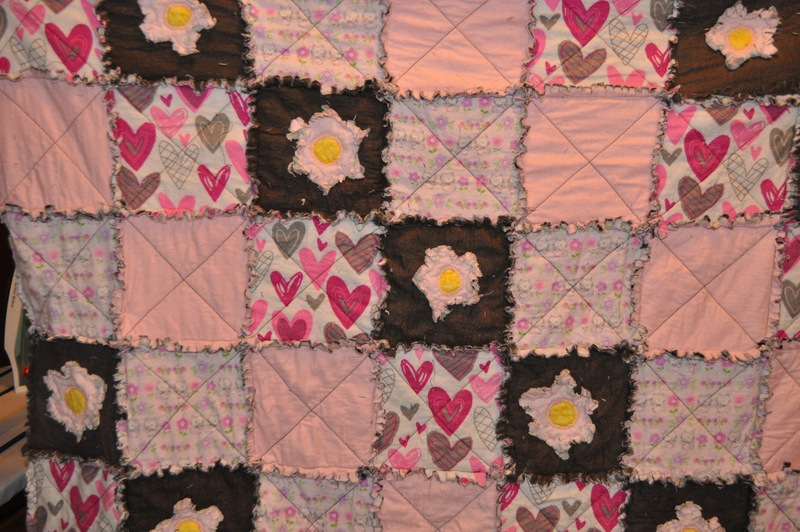 For sure you will want to cean it out after every wash. Any way now your the proud owner of a rag quilt.